esurveyspro.com - Esurveyspro. 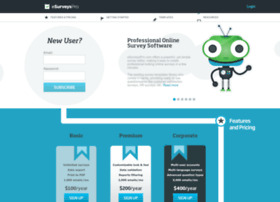 Online Survey Software. Free Web Survey Tool. eSurveysPro.com. Registrant Organization: Outside Software Inc.